The adnexal masses are a common gynecological problem referring to physiological or pathological tumors of the ovaries or fallopian tubes and can affect all age groups. The clinical diagnosis of these adnexal masses is based upon the combination of the patient’s age, presenting symptoms and the results of the imaging studies. The clinical examination of adnexal masses poorly correlates with the origin of the mass and also with the final histopathology. 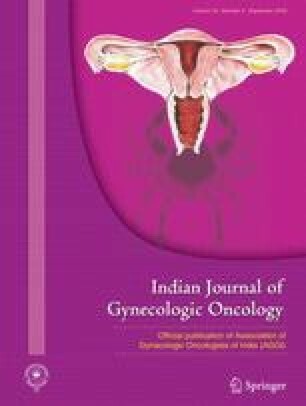 The study was conducted in the department of Obstetrics and Gynecology of the All India Institute of Medical Sciences, Jodhpur, India over a period of 6 months. Forty-eight patients with clinically suspected adnexal masses were included in the study. The clinical diagnosis was correlated with the imaging diagnosis and histopathology. Clinical examination was found to have poor sensitivity and specificity in diagnosing the origin of the pelvic mass, but clinical signs of malignancy like size > 5 cm, consistency (solid/heterogeneous), irregular surface, the presence of ascites, bilateral lesions, mobility (restricted/free) and nodularity in the pouch of Douglas increased the sensitivity of clinical examination to predict malignant lesions. Ultrasound examination was found to be helpful in differentiating adnexal masses of uterine or ovarian origin but was found to have a poor sensitivity in differentiating benign from malignant masses. Clinical examination of adnexal masses must be done in detail with special attention toward the clinical signs of malignant lesions because imaging studies are only helpful in diagnosing frankly malignant lesions but fail to do so when the adnexal masses are benign or are of borderline nature. Benign masses on imaging can be misdiagnosed as malignant, and the patients can be subjected to unnecessary investigations and radical surgeries.